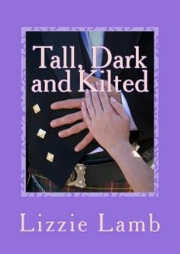 Posted on January 21, 2017, in Lizzie's Scribbles and tagged blogging, Gwen Kirkwood, Robert Burns, romance, sagas, Scotland, WWII. Bookmark the permalink. 20 Comments. Thank you for inviting me to your blog Lizzie. I feel honoured because you have made a much better job of blogging than I can do. I see you are beginning reading with Return to Bonnybrae. It is the third in my present series, following Moorland Mist and Moorend Farm so I shall be interested to hear whether you can pick up the characters without a family tree. When writing a series it is always difficult to know how much back story to include for those who have not read the earlier books in the series. I appreciate your time and trouble and will do my best to answer any queries and to share the blog on Facebook and Twitter. Gwen, deep respect to you for the numbers of books you have written. I am so glad that you like what I have done with it. 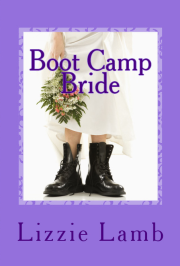 I had great fun writing it and discovering about you, your family and your path to publication. Trust me to download #3 in your series. I will amend that ASAP and buy #1, too. I will let you know how I get on and leave a review although ATM I am reading nothing other than newspapers as I am editing my fourth book and I find, if I’m not careful, I start to pick up other writers’ voice and tone. Thank you for taking the time to respond to comments, not all blog guests do. Here’s to your continuing success in writing such entertaining and involving novels,Gwen! You are so right, Lizzie. Gwen’s books sound wonderful, what a feast to discover. The mystical gaelic charm of the landscape, and the love you both share for your homeland shines through, just lovely! Thank you for dropping by Adrienne. His Adrienne, we are suckers for anything Gaelic or Celtic, right? I love Gwen’s covers, too. They draw one into her books at first glance. What a wonderful collection, Gwen. Great you’re able to share your knowledge of the changes in farming life and the impact on families, through story-telling. We have a haggis at the ready for Burn’s night. (Lovely that your grand-daughter will be celebrating too, Gwen.) Hope you both raise a wee dram on the 25th! I hope you enjoy your haggis too Rae. Birthday celebrations will wait until next weekend as my granddaughter is in her fourth year at uni and has three exams – one on her birthday – but that’s life, it intervenes with pleasure sometimes – at least it does in my books when there’s a problem to be overcome..
Hi Rae, thanks for dropping by. I’ll share something strange with you, my family never ate haggis until we came to live in England when I was eleven. Obviously the whole Burns Night vibe passed us by in Motherwell. However, I’ll raise a glass to Rabbie on the day – and I do mention him and Tam O’Shanter in my current work in progress. I love D’shire too. Last year when we were camping in Edinburgh a fellow caravan er suggested that we camp at Port Logan next time we are in Scotland. She said it was beautiful, and midge free. We have stayed in Port William and visited a huge Dairy/Creamery near Castle Douglas – the ice cream was out of this world. Pleased to meet you June. It is a small world really. I know a lot of readers get my books from the mobile library in this area and all our libraries are very good at getting requests. Maybe your relatives also known my daughter’s ice cream – though I shouldn’t be talking about that here. Feel free to give us our daughter’s details, Gwen. I would love to visit one day. Gwen is a wonderful storyteller and lovely person – great to read your post on Lizzie’s blog! 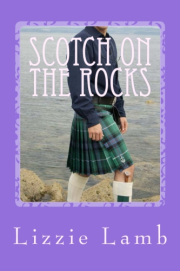 Many thanks Rosemary, you’ve written some wonderful novels with a Scottish theme, too. Thank you for taking time to look in Rosemary. I know how busy you are just now – well writers are always busy, then life intervenes as well. As Lizzie says you have some lovely Scottish stories and especially the historical one re Burns – Highland Mary? I read it and enjoyed it but I may have got the title a bit wrong. Gwen you are an inspiration to us all, and a lovely person too as Rosemary rightly says. Thank you for looking in Anne. If you say any more nice things I shall need to widen my door to get through! Seriously I enjoy wrting and it has been good taking part in Lizzie’s blog.